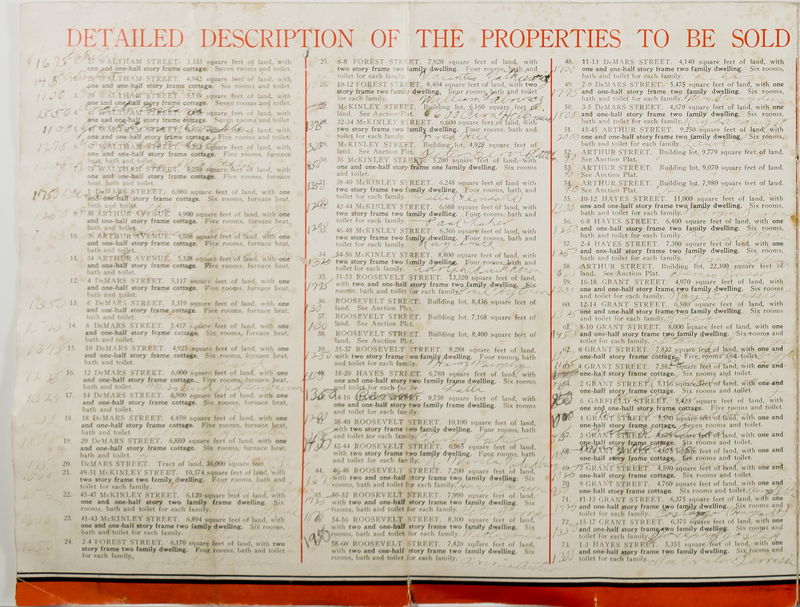 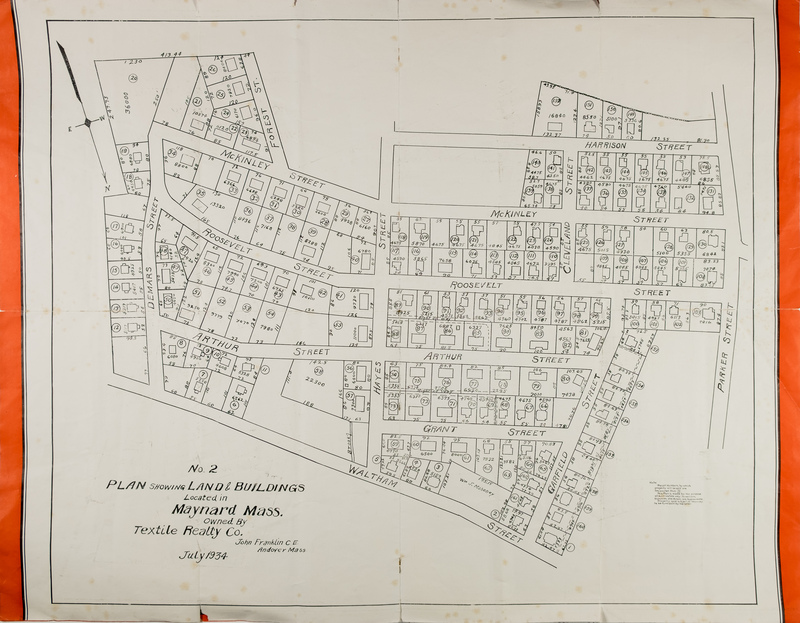 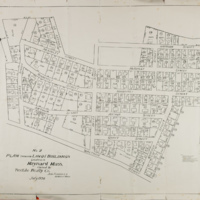 Includes a sale terms, a detailed description of the properties (with hand-written annotations of the sale price and the purchaser) and a map. 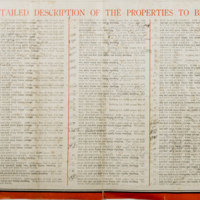 Most of the properties come from the "presidential" section of town. 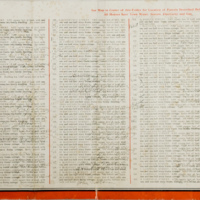 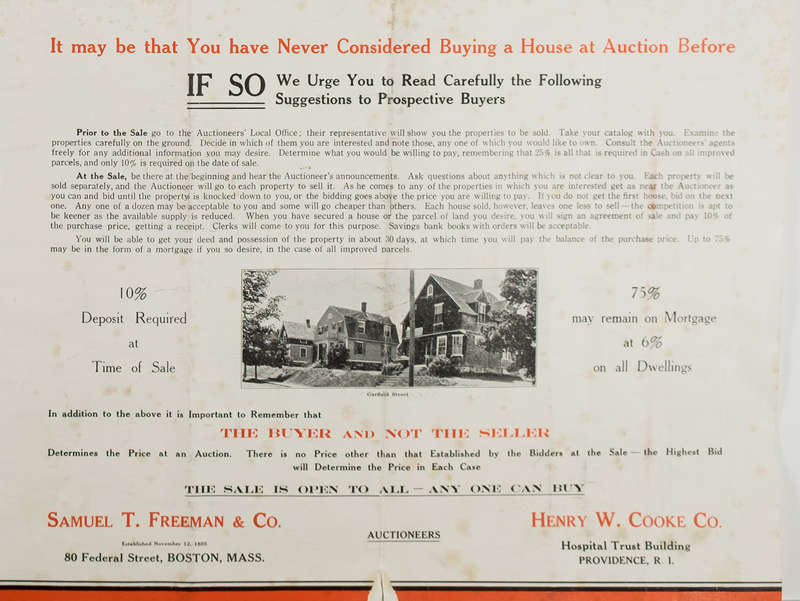 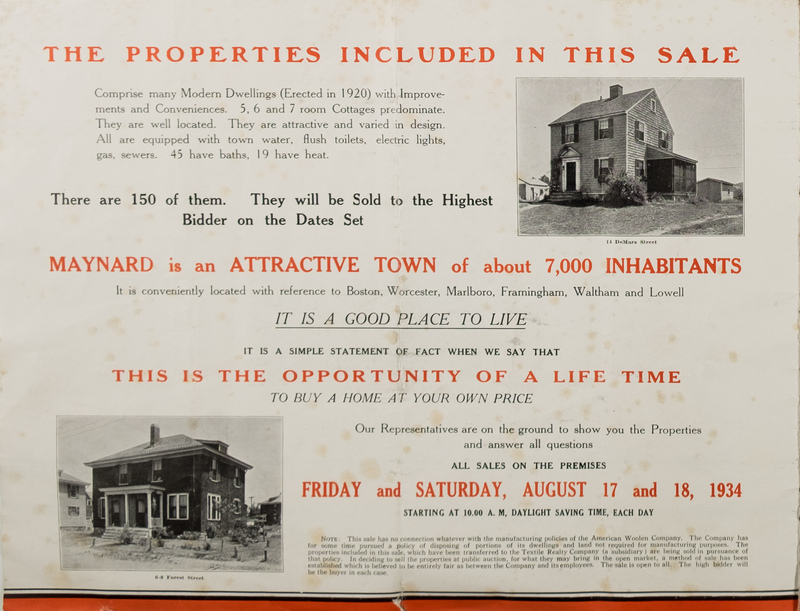 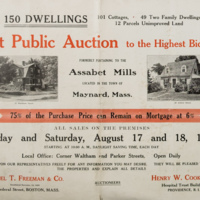 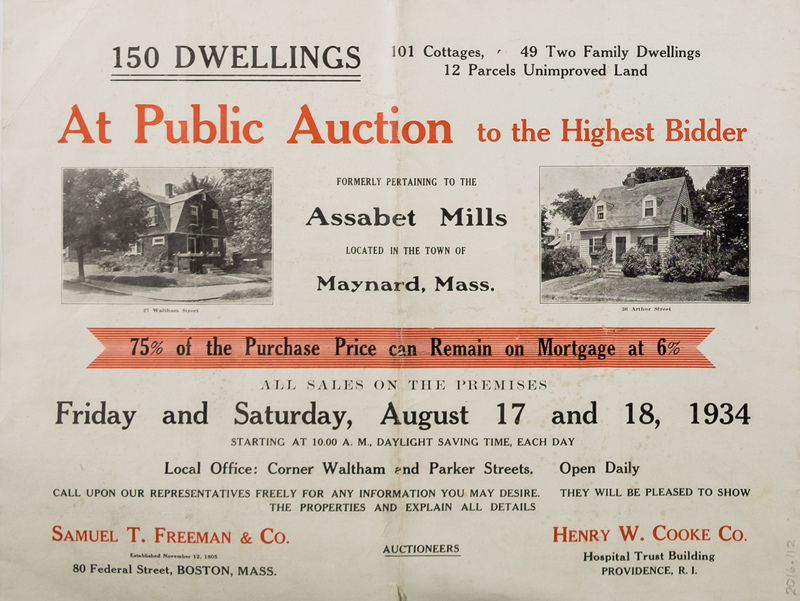 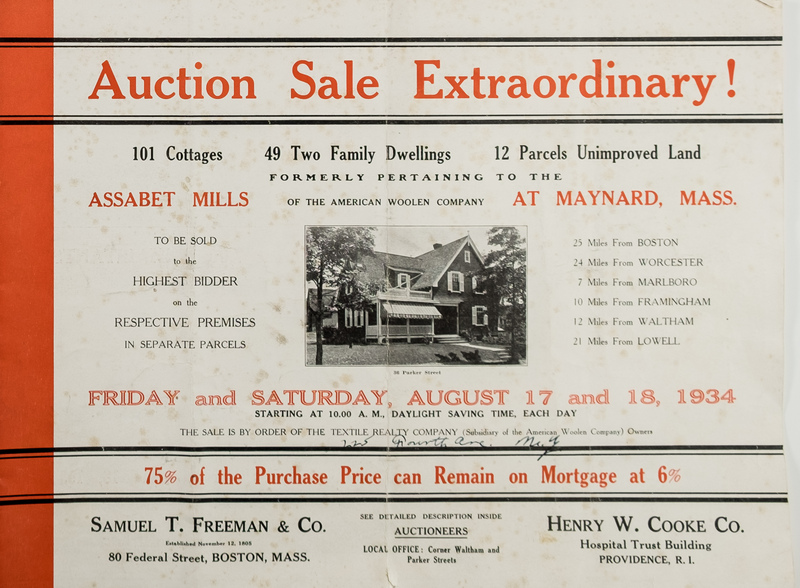 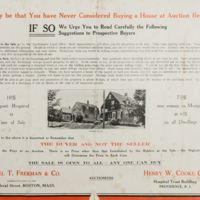 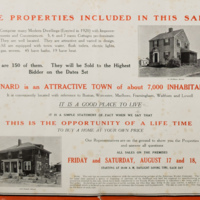 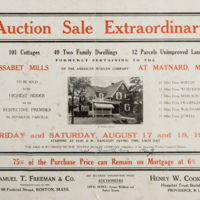 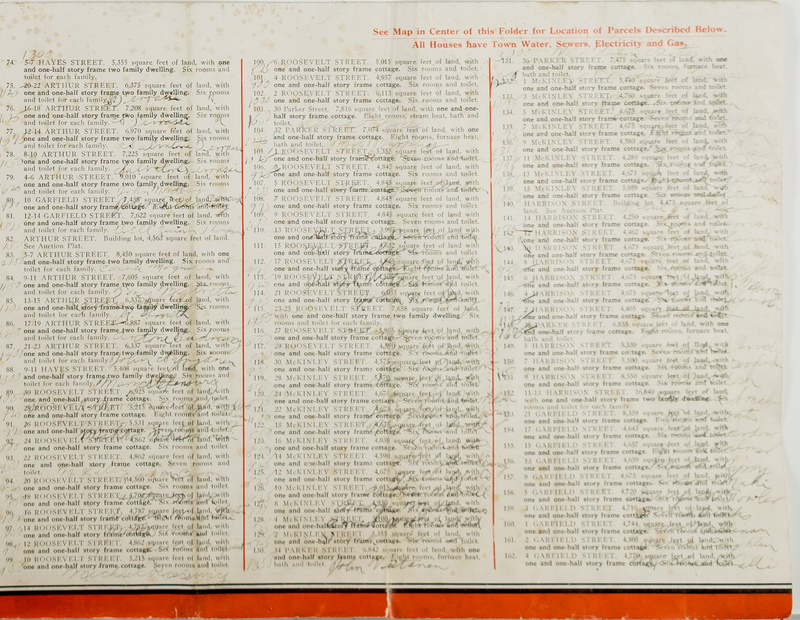 Samuel T. Freeman & Co. (Auctioneers), “Notification of Public Auction of Assabet Mills properties,” Maynard Historical Society Archives, accessed April 23, 2019, http://collection.maynardhistory.org/items/show/5128.